Norwegian reports a continued passenger growth and a record-high load factor of 88 percent for the month of June. The positive trend is a combination of solid growth on the long-haul operation and many sun-seeking Scandinavians during June. Norwegian carried 2,463,239 passengers in June, an increase of 7 percent compared to the same month the previous year. The total passenger traffic (RPK) increased by 11 percent, while the capacity (ASK) increased by 4 percent this month. The load factor was 88 percent in June, up 5.5 percentage points from June last year. 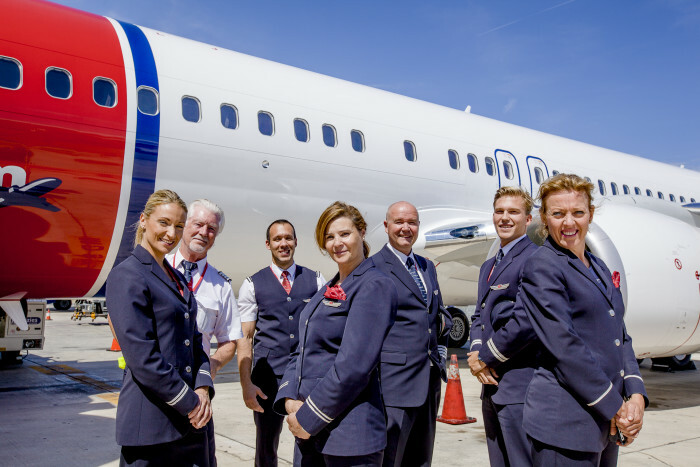 In June, Norwegian took delivery of a brand new Boeing 737-800. Norwegian boasts one of the most modern and environmentally friendly fleets in Europe. Norwegian scooped two renowned awards in June from the renowned SkyTrax World Airline Awards, the leading international airline rating system as voted on by the travelling public. Norwegian was named the ‘World’s Best Low-Cost Long-Haul Airline’ and ‘Best Low-Cost Airline in Europe’ for the third consecutive year. Norwegian operated 99.3 percent of its scheduled flights in June, whereof 79.6 percent departed on time. This month, new handling agents came into service, which also affected the on-time performance.